This is my monthly summary of my Debian related activities. If you’re among the people who made a donation to support my work (170 €, thanks everybody! ), then you can learn how I spent your money. Otherwise it’s just an interesting status update on my various projects. This month passed by very quickly since I attended both the Libre Software Meeting / RMLL and the DebConf. I attended “only” 3 days out of the 6 but that was a deliberate choice since I was also attending DebConf for a full week later in the month. During those 3 days I helped with the Debian booth that was already well taken care of by Frédéric Perrenot and Arnaud Gambonnet. Unfortunately we did not have any goodies to sell. We (as in Debian France) should do better in this regard next time. One of the talks I attended presented EnVenteLibre. This website started as an online shop for two French associations (Ubuntu-fr, Framasoft). They externalize all the logistic to a company and only have to care about ordering goodies and delivering to the warehouse of the logistic company. They can also take some goodies from the warehouse and ship them for a conference, etc. We discussed a bit to see how Debian France could join, they are even ready to study what can be done to operate at the international level (that would be interesting for Debian with all the local associations that we have throughout the world). Back to the LSM, while I had 3 good days in Strasbourg, it seems to mee that the event is slowly fading out… it’s far from being an international event and the number of talks doesn’t make for a better quality. BTW, do you remember that Debconf 0 and Debconf 1 were associated to this event while it was in Bordeaux? As the error message hints, there’s a new --commit command supported by dpkg-source that will generate the required quilt patch to fix this. In the process you will have to submit a name and edit the patch header (pre-formatted with DEP3 compatible fields). You can get back the old behavior with the --auto-commit option. Ever since we adopted the Ubuntu changes to let dpkg-buildpackage set some build related environment variables (see #465282), many Debian people expressed their concerns with this approach both because it broke some packages and because those variables are not set if you execute debian/rules directly. In the end, the change was not quickly reverted and we fixed the package that this change broke. Despite this we later decided that the correct approach to inject build flags would be a new interface: dpkg-buildflags. Before changing dpkg-buildpackage to no longer set the compilation flags, I wanted to ensure dpkg-buildflags had some decent coverage in the archive (to avoid breaking too many packages again). My criteria was that CDBS and dh (of debhelper) should be using it. With the recent debhelper change (see #544844) this has been reached so I changed dpkg-buildpackage accordingly. Without DPKG_EXPORT_BUILDFLAGS the variables are not exported in the environment and have no effect unless you use them somewhere. More than build flags, this will also provide a bunch of other variables that can be useful in a rules files: all the variables provided by dpkg-architecture, vendor related variables/macro and some basic package information (mainly version related). Given the renewed importance that dpkg-buildflags will take now that dpkg-buildpackage no longer sets the corresponding environment variables, I thought that I could give it some love by fixing all the open issues and implementing some suggestions I got. I also had a chat with a few members of the technical committee to discuss how hardening build flags could be enabled in Debian and this also resulted in a few ideas of improvements. new --dump command that is the default (see #603435). Will all those changes, the complete set of compilation flags can be returned by dpkg-buildflags (before it would only return the default flags and it was expected that the Debian packaging would add whatever else is required afterwards). Now the maintainer just has to use the new environment variables to ensure the returned values correspond to what the package needs. I spent a full week in DebConf (from Sunday 24th to Sunday 31th) and as usual, it’s been a pleasure to meet again all my Debian friends. It’s always difficult to find a good balance between attending talks, working in the hacklab and socializing but I’m pretty happy with the result. I did not have any goal when I arrived, except managing the Rolling Bof (slides and video here) but all the discussions during talks always lead to a growing TODO list. This year was no exception. The technical committee BoF resulted in some discussions of some of the pending issues, in particular one that interests me: how to enable hardening build flags in Debian (see #552688). We scheduled another discussion on the topic for Tuesday and the outcome is that dpkg-buildflags is the proper interface to inject hardening build flags provided that it offers a mean to drop unwanted flags and a practical way to inject them in the ./configure command line. Given this I got to work and implemented those new features and worked with Kees Cook to prepare a patch that enables the hardening build flags by default. It’s not ready to be merged but it’s working already (see my last update in the bug log). A few words about the Rolling BoF too. The room was pretty crowded: as usual the topic generates lots of interest. My goal with the BoF was very limited, I wanted to weigh the importance of the various opinions expressed in the last gigantic discussion on debian-devel. It turns out a vast majority of attendants believe that testing is already usable. But when you ask them if we must advertise it more, answers are relatively mixed. When asked if we can sustain lots of testing/rolling users, few people feel qualified to reply but those that do tend to say yes. I did again some bug triaging on Launchpad. But Brian Murray did a lot of it and the result is impressive, we’re down to 154 bugs (from more than 300 a month ago!). I updated my multiarch branch multiple times. I was hoping to meet Guillem during DebConf to make some progress on this front but alas he did not attend. I have been asked a status update multiple times during my time in DebConf. I fixed a regression in update-alternatives (#633627), a test-suite failure when run as root (#634961), a segfault in findbreakcycle. There have been a bunch of minor improvements too (#634510, #633539, #608260, #632937). Christoph Berg recently wrote a replacement for DEHS because the latter was not really reliable and not under control of the QA team. This is a centralized system that uses the watch files to detect new upstream versions of the software available in Debian. I updated the Package Tracking System to use this new tool instead of DEHS. The new thing works well but we’re still lacking the mail notifications that DEHS used to send out. If someone wants to contribute it, that would be great! I also updated nautilus-dropbox to version 0.6.8 released upstream. I also uploaded the previous version (that was in testing at that time) to squeeze-backports. So there’s now an official package in all the Debian distributions (Squeeze, Wheezy, Sid and Experimental)! 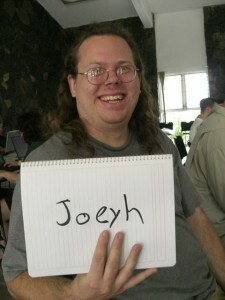 I decided recently to publish interviews from Debian contributors and I picked Joey Hess as my first target. He’s one of the few who have heavily influenced Debian by creating software that have become building blocks of the project, like the debian-installer (Joey uses the shorthand d-i to refer to it). My questions are in bold, the rest is by Joey (except for the additional information that I inserted in italics). Hello, I’m Joey Hess. I’m one of the oldtimers in Debian. Actually, I just checked, and there are still up to nineteen active Debian Developers who joined the project before I did, in 1996. I got started fairly young, and am “just” 34 years old. I spend part of my time working with Lars Wirzenius, another Debian oldtimer, on Branchable. It makes it dead-easy for anyone to make a website that is built from Git, using my Ikiwiki engine to do wiki and blog style things. These days I spend the rest of my time working on free software, when I should really be looking for work to pay the bills. What’s your biggest achievement within Debian or Ubuntu? I guess I’m mostly known by Debian developers for writing debhelper and perhaps debconf. Probably founding the Debian Installer project has been a bigger impact for users. I’m fairly equally proud of all three projects. But while it might sound corny, I am more proud of the accumulation of all the smaller things done in the context of Debian. It’s more of a deep connection to the project. All the bugs fixed, and filed, and packages uploaded, and late night discussions, and just being a part of the larger project. Hmm, I stopped thinking of Debian releases by code names back around Slink. 🙂 So, few specific plans for Wheezy. The main thing I would like to help make happen in Debian next is Constantly Usable Testing, and it transcends releases anyway. The only specific plans I have for Wheezy are that there will probably be a new debhelper compat level, and I hope d-i will finally switch to using git. RH: You can learn more about “Constantly Usable Testing” in my article Can Debian offer a Constantly Usable Testing distribution?. If you could spend all your time on Debian, what would you work on? Getting Debian on all these computers that we carry around in our pockets and can’t easily run apt-get on and hack on. Phones that is. It’s a bigger problem than just Debian, but I think Debian needs to find a way to be part of the eventual solution. The FreedomBox concept at least hints at a way around the current situation with embedded computers in general. I believe that the biggest problem is institutional, social and technological inertia. Every specific case of something that frustrates me about Debian today can be traced back to that. You contribute regularly to Debian mailing lists, yet I don’t remember any aggressive/frustrated mail of you. How do you manage that? Are you avoiding heated discussions? Rats, sounds like all my wonderful flames of years past have been forgotten! Seriously though, after I noticed thread patterns, I started trying to avoid participating in the bad patterns myself. Now I limit myself to one expression of an opinion, and I don’t care who gets the last word. If people can’t be convinced, it’s time to find another approach to the problem. Also, code talks. Most of the programs you wrote for Debian are in Perl. Do you regret this choice? I love that question! No, no regrets. My only concern is whether the language limits contributors or users. I have not seen Perl significantly limiting the use of anything except for debconf (we had to rewrite it in C for d-i). And I do not notice fewer contributions to my Perl-based code than to other code. I do sometimes regret when someone tells me they had to learn or re-learn Perl to work on something I wrote. But while I’m enjoying writing new things in Haskell now, and while I hope it will mean less maintenance burden later, I don’t think using Haskell will make it easier for others to contribute to my programs. Anyway, for me the interesting thing about writing a program is the problem it solves and the decisions made doing it. Choice of language is one of the less interesting decisions. 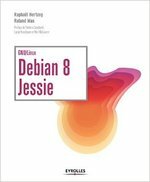 Is there someone in Debian that you admire for his contributions? Well, lots. You’re tempting me to throw a dart at a map. So arbitrarily, I’ll say Anthony Towns. We could all learn something from how he’s approached making big, fundamental changes, like introducing Testing, and making Debian Maintainers happen. Thank you to Joey for the time spent answering my questions. I hope you enjoyed reading his answers as I did. Subscribe to my newsletter and don’t miss further interviews. 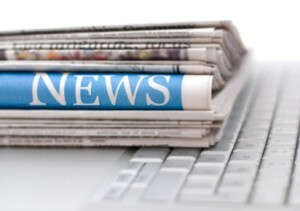 You can also follow along on Identi.ca, Twitter and Facebook. PS: If you want to suggest me someone to interview, leave a comment or mail me. I have booked my flights for Debconf9 in July. I will arrive in Madrid on July 23th at 10:30 from Lyon Saint-Exupéry (LYS-MAD, flight AF5891) and I will leave on July 31th at 17:40 (MAD-LYS, flight AF5892). I plan to use the train to go to Cáceres but it’s too early to buy tickets on renfe.es. I also have no idea how far the train station is (from the airport) but it looks like I will have several hours transit time anyway. There aren’t so many trains for Cáceres. The train tickets will likely cost around 30 EUR each. I’m glad that I can attend again this year. I’m sure it will be very productive. At least concerning dpkg it will be good to meet Guillem Jover IRL.